and even an adventure travel resort. 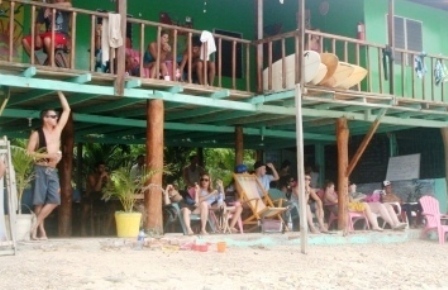 If you want to stay right on the beach at Playa Maderas this is the only hostel that is right in front of the surf spot! Run by 3 local brothers a hostel with basic rooms, Wi-Fi Internet and incredible views! Surf board rental and lessons, yoga classes and beach front message, everything for the perfect beach vacation! A Green Eco-friendly surf rancho in a tranquil, jungle setting for your surf and beach vacation with rental casitas and cabanas. Wake to the sounds of the howler monkeys in the trees and enjoy your morning coffee with the birds in the jungle.Then, head on down to the beach at Playa Maderas for a day of surfing, warm water and world class waves! 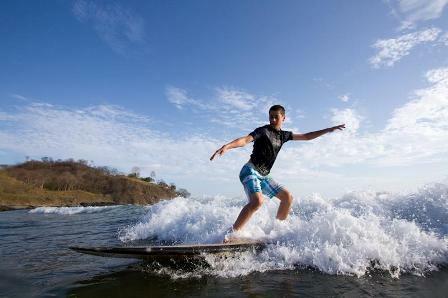 Surf, Learn to Surf or just Hang at the Beach! Come enjoy a tropical beach vacation with us! 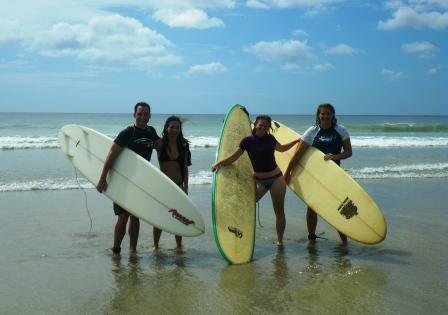 Surf lessons, surf board rental and surf trips available. Long term monthly or weekly traveler rates also! And, Ask us about "Jones" the rental Landcruiser! 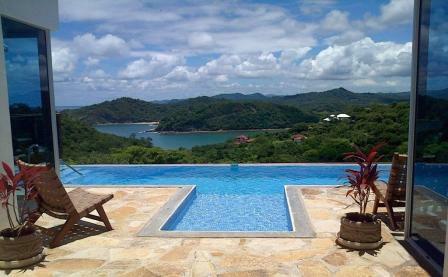 Is the perfect spot for adventure and travel around San Juan del Sur, Nicaragua. Nestled in a pristine jungle setting, only a short drive from town. Mango Rosa is a full-service resort providing the perfect combination of comfort and escape. Just minutes away are some of the area’s best beaches, Maderas, Marsella and Majagual. Surfing, fishing/cruising aboard our 30’ Custom Panga, turtle tours, zip lines, volcano tours, horseback tours, and kayaking are just some of the opportunities we can provide to you. Our capacity for fun is limited only by your imagination. family vacation, surf trip, fishing trip, or in search of the perfect exotic adventure. Get out there and live the Mango Rosa lifestyle. 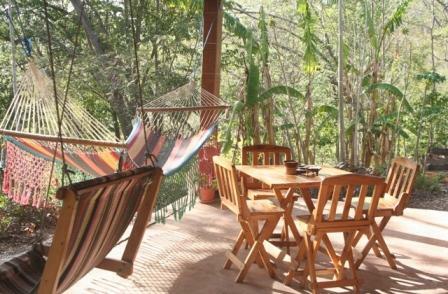 Quiet studio on Eco-rancho close to Playa Maderas and Playa Marsella Enjoy your morning coffee with the birds and howler monkeys. 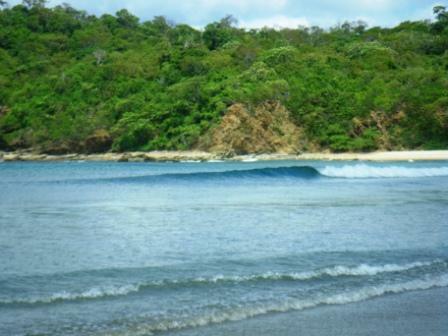 Fun surf at Playa Maderas which is right down the road! or $150 a week for a 2-3 week stay! 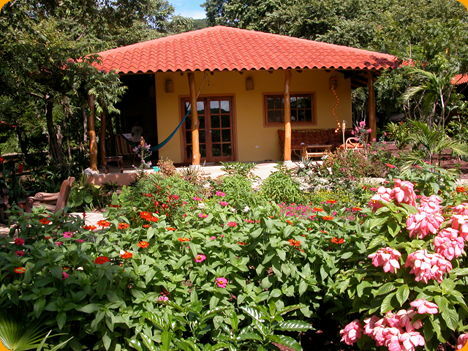 Casa Maderas is an affordable nature-friendly hotel located only a 10 min. 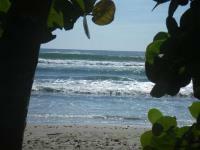 walk from a world-renowned surf break, Maderas Beach. Our hotel is ideal for solo travelers, couples, families or friends desiring to sit back and relax, away from the commotion of downtown San Juan del Sur. The songs of the bristling winds, singing birds, and howling monkeys will surround you. You will find here comfortable private rooms and shared cabins, large swimming pool, wifi, restaurant and bar, car park, security 24/7, and daily shuttles to & from San Juan del Sur and Maderas Beach. Shuttles to the beach are free for guests. We offer you a wide range of services and activities such as surf lessons & rentals, daily yoga classes, zip-lining, sailing, fishing, horseback riding and sea-turtle expedition. We also invite to visit our Eco-Pavilion explaining our nature-friendly initiatives. While you are staying with us, our friendly staff will do their best so that your stay is a pleasant one! Long Term Travelers Special Pricing for Monthly or Weekly Rental! 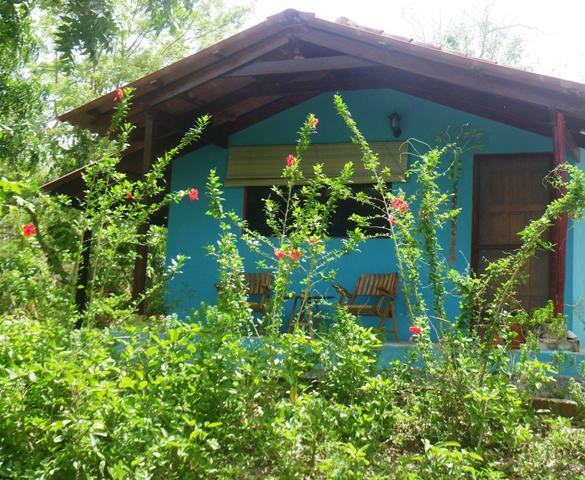 A one bedroom, one bath, solar power home nestled in the jungle on an Eco-Rancho, close to Playa Maderas! Fully furnished, wi-fi and weekly housekeeping with linen change included in monthly rent. $550 a month or weekly rental at $200 for a 7 day week. Ask about our rental vehicle and motorcycles! A luxury vacation home situated high on the hill between Playa Maderas and Playa Marsella with sweeping ocean views of both bays and the coastline to Costa Rica! Hear the surf and enjoy the incredible sunsets from the large decks and the cool flowing breezes throughout this upscale home on your vacation.